“I have opted out both my Kindergartner and my Second Grader,” says Jennifer Lewis, a Portland Public School parent. Lewis is just one of many parents across Oregon opting their child out of a new Kindergarten Assessment. The Oregon Kindergarten Assessment was instituted last year by Governor Kitzhaber. Many early childhood and educational experts disagree this test measures kindergarten readiness at all. Parent Child Preschools Organization, an organization of sixty preschools in Oregon and Washington, has sent out information to all parents at their member preschools. Lewis’ 2nd grade son did take the kindergarten readiness test and she didn’t like what he went through. “No 5 year old should have to go through a testing regimen, where they are repeatedly asked the same question. My son noticed this in his kindergarten assessment and started rocking and stopped responding. They know inherently they got it wrong when asked twice.” says Lewis. 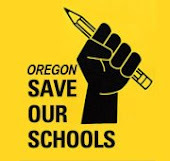 In Oregon parents can ask to opt their children out of tests by contacting their school principal or school district or teacher. Oregon schools allow two reasons for opting out, disability or religion. Washington and California allow parents to opt out without providing reasons. Ems says “We encourage parents to share their concerns with their principal and other school officials. It may be possible for parents to opt out of the testing for reasons of disability or religion, including philosophical beliefs."